Suddenly you feel humbled, and at the same time even more excited to start pushing that boundary just a tiny little bit further. But then, creeping up, there is also the feeling of slight disillusionment because you always enjoyed learning about lots of different things and you know that that’s not what a PhD will offer. You’re afraid that you’ll lose sight of the big picture, so maybe after doing a PhD (and possibly even a post-doc) you want to zoom out from that pinprick of knowledge. How exactly are you proposing to do that? 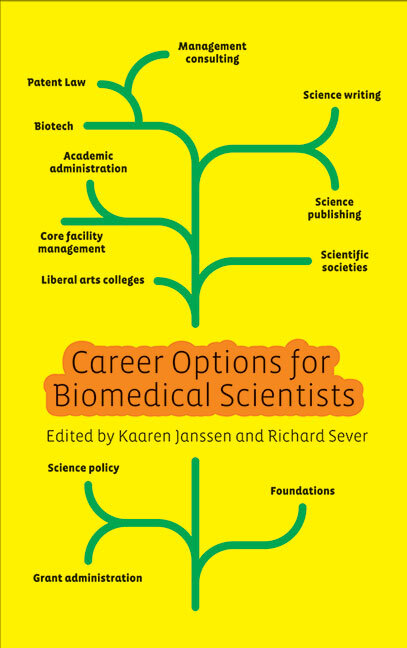 Well, I don’t know myself, but after having read a preview of this book (image from CSHL Press website) I am intrigued by the editing/science writing/publishing field. Who knows, maybe there’s also a chapter that will catch your fancy? Now I am certainly getting ahead of myself though; PhD applications, here I come! This entry was posted in Opinion and tagged Careers, CSHL Press, PhD by Victoria Wang. Bookmark the permalink.